We take a break from our usual programming (i.e. the Wing Commander: Privateer soundtrack) to examine the soundtrack from another space trading game: Frontier: Elite II. This is no coincidence as some of you are aware as there is currently a Kickstarter project running by the composer of the Frontier: Elite II soundtrack, Dave Lowe. One of the main goals of the project is to turn the main theme to Frontier: Elite II, which I assume is the one presented here, into one performed by a live orchestra! 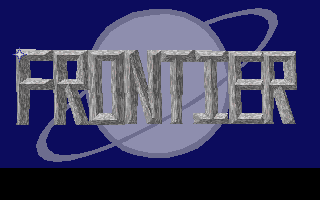 While admittedly the track might sound a bit lo-fi by today's standards you have to realise this track was composed well over 20 years ago (using 1990s technology) - not only that but the music on Frontier: Elite II and the game itself fit on one floppy disk - now that's efficiency! Also, it goes so much better while watching the intro to the game too while you watch an Imperial Courier take out a couple of Eagles.... yeah.